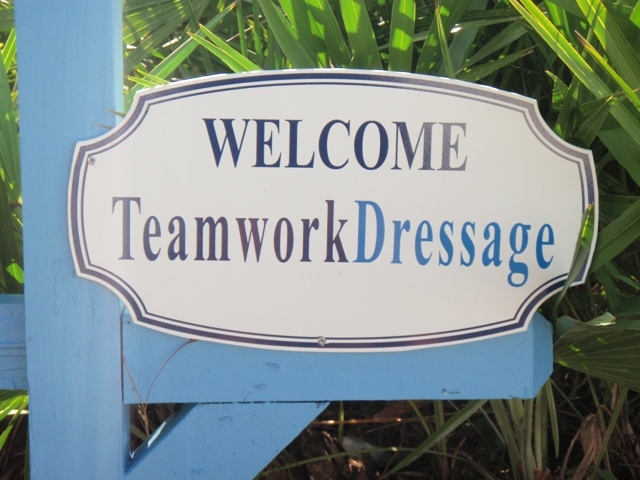 Teamwork Dressage is a full service Dressage Training Facility located in Jupiter, FL. It is home to dedicated dressage trainers Jules and Libby Anderson. Both Jules and Libby are well respected, experienced dressage trainers, riders and clinicians from Training Level through to the FEI Grand Prix. This unique team has over twenty years of proven results. In the world of dressage, Teamwork Dressage stands out for its professional expertise, wrapped in personalized, individual care. The mission of Teamwork Dressage is to provide a caring learning environment for both horse and rider in a professionally rigorous program designed to promote excellence in the sport of dressage. We welcome English and Western Dressage enthusiasts.